The B.C. government of the day would contribute a third of the construction costs toward a community centre but nothing if it were a church or synagogue. So, a small group of dedicated volunteers named it the Okanagan Jewish Community Centre and got the funding. The building – also known as Beth Shalom Synagogue – features a sanctuary alongside a large kitchen, library and daycare. Twenty-five years after its dedication in the heart of British Columbia’s Okanagan Valley, a dozen original members and 50 supporters celebrated the milestone with Israeli dancing, humour and heartwarming stories. Steven Finkleman, who led the event, reminisced about how a few retired couples kept the Jewish religion “alive in these boonies” by getting together at various houses. Members gathered regularly for services at a church after they formalized their community at an inaugural meeting in 1983. As more Jews moved into the Okanagan, momentum grew. Then-newcomer Mel Kotler, a businessman from Montreal who ran the Western division of Fabric-land, helped launch the community’s first cemetery drive. The committee bought pews, bimah artifacts and an ark from a synagogue that closed in Moose Jaw, Sask. Members contracted Emil Klein, a retired rabbi living in nearby Winfield, to lead services in houses and at St. Moishe’s. Soon, they picked out a burial site overlooking a lake north of Kelowna, making it the only Jewish cemetery between Metro Vancouver and Calgary. After shifting the focus to establishing a centre, lawyer Robert Levin met with developers of a new subdivision in Kelowna’s North Glenmore area to negotiate a location. They agreed the Jewish community would put in a daycare to serve the neighbourhood as part of the deal. Plans were drawn up for a $400,000 building, and a successful fundraising dinner followed. 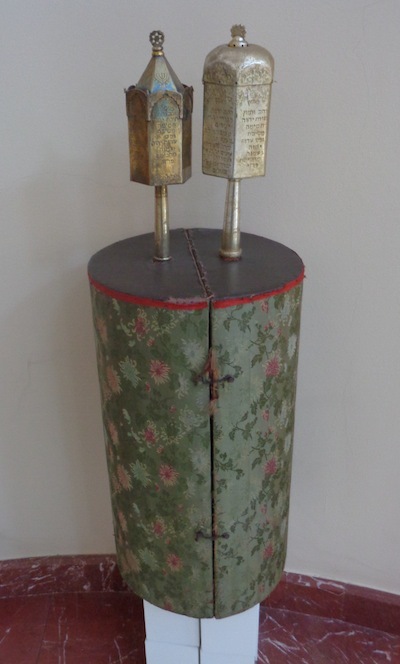 Once built, two former members of the Moose Jaw synagogue helped carry in two Torahs for the dedication in October 1992. More than 300 people attended the ceremony, which included a six-foot challah. Among the dignitaries were British Columbia’s former premier, Dave Barrett, member of the Legislative Assembly Cliff Serwa and B.C. Liberal leader Gordon Wilson. Today, about 60 families – with Orthodox, Conservative and Reform backgrounds – support the centre. Visiting rabbis and cantors lead services, and children learn about Judaism at Hebrew school. Rabbi Shaul Osadchey and Cantor Russ Jayne of Calgary’s Beth Tzedec Congregation currently travel to Kelowna four times a year for Jewish holidays. To celebrate the 25th anniversary, Cantor Russ sang a Hebrew-English version of Leonard Cohen’s “Hallelujah.” Israeli dancers – who have practised every week for 14 years at the centre – performed. Member of Parliament Stephen Fuhr and Kelowna Councilor Mohini Singh gave speeches. And everyone shared a nosh, a slideshow and plenty of laughs. For more information, visit ojcc.ca. Don Plant is a retired journalist and member of the Okanagan Jewish Community in Kelowna. He’s now studying archeology and helped excavate an Early Bronze Age site in Israel last summer. The other night, I sat on the couch with my husband in an attempt at togetherness. We watched an episode of Madam Secretary. It was our second attempt. On the first try, worn out, I was about to fall asleep when my spouse suggested that we save it for another time so I could go to bed. It was, he pointed out, supposed to be fun. Sticking to the initial “date time” wasn’t working. Thank goodness for the PVR. The show we watched was full of allusions to knitting and design, which are parts of my freelance work. I cringed inwardly, preparing for derogatory comments about “women’s work.” To my surprise, the textile theme was respectful. A man with PTSD takes up knitting as part of his therapy – it helps him focus his mind. A first-year university student struggles with a design assignment – she comes away with a couture dress, but not before we hear the sounds of her sewing machine at work in the background. Best yet, when her sister begins to panic at modeling the dress, the student gives her a pep talk, saying, “Pull yourself together, be strong. Do this, I need you.” What started as a frivolous thing – “help me out at this fashion show” – became more. It became a chance to succeed academically, and to use inner strength to prevail over a trying situation. The episode showed strong women and struggling men seeking to be their best selves. Hauptman showed us how women’s interpretations allowed them both to obey the spirit of Jewish law, and to accomplish what needed to be done. In more than one place in these readings, the rabbis (all male) allude to the fact that women were smart and had power or agency. Even if the language of the Talmud relegates women to being “property of a man’s house,” the women in these stories shine through as being shrewd and savvy. We think sometimes that our lives are infinitely more complicated, sophisticated and detailed than those in the nostalgic past. Yet, these talmudic texts reminded me that, more than 1,500 years ago, smart people focused on the details that make our households and lives function. We may have a way to record entertainment now (and a TV!) or access to machine-produced clothing, but our fundamental concerns are similar. How are we to balance the spirit of our commitments with the laws’ requirements? What is the intention of our roles? How do men and women balance and subvert traditional roles in order to cope? How do our household tasks make life comfortable and/or meaningful? The first text we studied refers to tasks that wives perform for their husbands: grinding grain, baking bread, doing the laundry, cooking, nursing his babies, making his bed, and working with wool. When she has wealth and servants, she can avoid some of these household obligations. As we studied this text together, I was knitting a wool sweater I’d promised to finish for one of my kids. I thought the webcam was trained up, only on my face. No, as it turned out – a friend, also taking the class, in New York, said she could see my knitting. That’s OK. In the end, the more things change, the more they stay the same. Regardless of your level of observance, we still wrestle with these issues. Women often interpret Jewish law and tradition when it comes to household details. If one doesn’t have enough servants or financial resources, or even enjoys knitting and finds it focuses the mind, one might still be working with wool. A recent study indicated that, in Reform Jewish congregations, rabbis who are women are paid less than their male counterparts. Women have fewer positions “at the top” as senior or sole congregational rabbis. We continue, even in the most progressive Jewish movements, to struggle with pay equity and gender roles. The Talmud is an essential part of Jewish oral law, but it’s also literature, with narratives that shed light on daily life. A current TV show portrays a woman as U.S. Secretary of State, and shows that interaction with fibre arts is still an important, useful and viable thing to devote time to creating, no matter your gender. In both the show’s legal negotiations and this talmudic text, we’re taught that, sometimes, the spirit of the law, the intention, is more important than the letter of the law. Through all the big decisions, it’s sometimes the small household details that make people’s lives rich. I’ll keep knitting handmade sweaters for my kids – and studying Talmud. Even in these times, there’s a place for both. Two years ago, Rabbi Gideon Osher Shmueli donated a kidney to a stranger, saving that individual’s life. These days, he works at Magen David Yeshivah in Brooklyn, N.Y., teaching Hebrew and bringing with that teaching the culture and values of Judaism and eretz Yisrael, the land of Israel. To him, teaching about Judaism is akin to donating a vital organ. “Connecting Jews to Torah and mitzvot is no different from helping someone to live,” said Shmueli, 32, who, with his wife, Leore Sachs Shmueli, was matched with the school by Ohr Torah Stone’s Beren-Amiel Practical Training Program for Educational Emissaries, which trains educators who are sent to teach Judaic studies in both Orthodox and non-Orthodox schools throughout the Diaspora. A similar initiative, the Straus-Amiel Program for Rabbinical Emissaries, trains rabbis for synagogue postings in the Diaspora. Like Shmueli, Rabbi Ariel Wilchfort is a recent arrival to his new post. He is city director for the National Conference of Synagogue Youth in Vancouver, following his participation in the emissary training at OTS’s Israel campuses. “They guided me and helped me choose positions,” said Wilchfort, 33, who relocated to Vancouver with his wife Ayala and their two young children. Wilchfort, who attended the emissary training from 2015 to 2017, said he found his current job when a representative for NCSY, the youth arm of Orthodox congregations in North America, visited with him and other emissaries. Based in Israel, OTS is a modern Orthodox network of 24 institutions on 12 campuses, founded by Rabbi Shlomo Riskin with a mission in part to demonstrate that Judaism’s “laws and traditions remain profoundly relevant to the contemporary world,” Riskin has said. As part of that mission, OTS has some 200 emissary families serving in more than 50 countries, according to Rabbi Eliahu Birnbaum, who directs the emissary programs. Shlichim (emissaries) serve on average five to six years, with some who have been at their posts as long as 18 years. They serve not only in large Diaspora communities but also in places that are far afield and have few Jews, such as Quito, Ecuador; Guangzhou, China; Cochin, India; and Harare, Zimbabwe. “We believe that people need to work with people, and the only way to influence other people and strengthen their Jewish identity, as well as the community itself, is by having emissaries and creating personal connections,” Birnbaum said. OTS annually receives at least 150 applications for the program, and chooses 25. “We accept only applicants who have advanced Torah knowledge and yeshivah background, high academic level and, most important, very good people and leadership skills,” said Birnbaum. The training program consists of weekly classes with educators, rabbis, experts in halachah (Jewish law) and advisers. Shlichim assignments range from teaching positions, to youth directors to pulpit positions. In a smaller Jewish community like Vancouver, Wilchfort occupies several roles on the community scene, mentoring young people at Congregation Schara Tzedeck and running a religious education program called Torah High, in which Jewish students can attend afternoon classes and gain a few credits toward earning their high school degree. Originally from Englewood, N.J., Wilchfort’s family immigrated to Israel when he was a child, and he received his rabbinic ordination from Israel’s Chief Rabbinate at the same time that he was enrolled in the Beren-Amiel program. He said he was drawn to the initiative by a desire to serve Jews in the Diaspora and help them enrich their Jewish lives. “I entered the program out of a care for other Jews, a love for our nation, and especially a love for our fellow Jews who have not had an adequate religious education,” he said. A few years ago, author Abigail Pogrebin spent an immersive year studying the Jewish calendar and attempting to observe it. 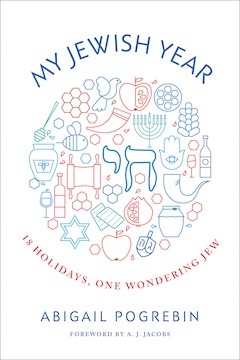 She chronicled her experience in a column in the Forward and, subsequently, in the book My Jewish Year: 18 Holidays, One Wondering Jew (Fig Tree Books, 2017). On Nov. 19, she was in Winnipeg for the city’s Tarbut Festival. Pogrebin recognizes that there is a segment of the population that adheres to it simply because they inherited it, without questioning. Yet, for many people, Jewish observance, particularly of holidays, is a deliberate choice. Pogrebin grew up in New York City. Her mother, writer and activist Letty Cottin Pogrebin, was instrumental in promoting women’s rights in the 1970s, and her writing includes analyses of what it means to be Jewish and female. “I was not someone who celebrated nothing before this,” said Abigail Pogrebin. “I had sort of the five or six tent poles of Jewish holidays in my life…. I grew up with Shabbat…. It wasn’t enforced, but it was observed when we were together as a family. I went to synagogue on the High Holidays. We had always lit the menorah for eight nights, and I went to two seders back-to-back. Then, also, the feminine seder, which was a tradition that was started in mid-1970s by a group of women, including my mother. As examples of what she learned on her journey, Pogrebin said she had never understood before that the process of atonement and introspection needs to start far in advance of Rosh Hashanah and Yom Kippur. “During the month of Elul, we’re supposed to do what is called, in Hebrew, cheshbon hanefesh (accounting of the soul). And, when I asked various rabbis how I might go about that, because there’s not a clear blueprint for observance, quite a few suggested taking the middot (characteristics) and breaking them down, exploring one a day. So, I chose to do that for 40 days leading up to Yom Kippur. As the women went through the days, they aimed to look at themselves as deeply and honestly as they were able and to write their reflections on each characteristic at the end of each day. Pogrebin spent Sukkot in Los Angeles, interviewing four rabbis in two days, with each one discussing a different aspect of Sukkot that she never had understood before. “One emphasized the fragility, the impermanence of our structure, and our shelters in our lives,” she explained. “How resonant that is today, with natural disasters and poverty, and all kinds of things that should shake our foundations, both literally and metaphorically. 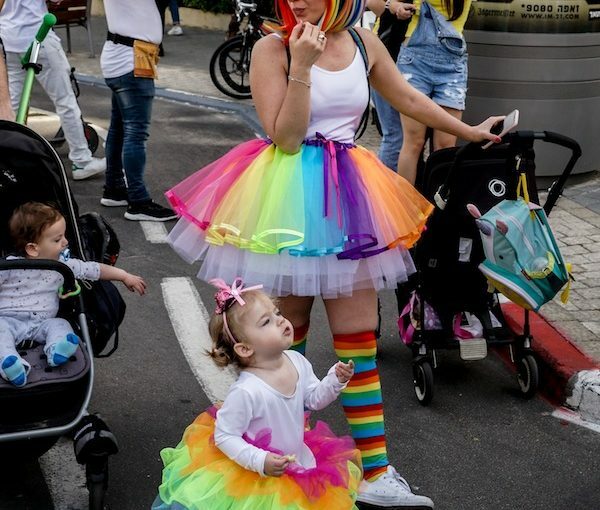 “Another talked about the fertility, the imagery that is in Sukkot – the shaking of the lulav and etrog, which was much racier than I ever understood. Another talked about agriculture, and the land and connecting – reconnecting with the earth in ways we don’t do in other times of the year. Pogrebin also mentioned Yom Hashoah, which commemorates victims of the Holocaust. According to her, not many people know when it takes place. “I think it’s just not in the fabric of how many of us were raised, but it seems to me to be a crucial holiday, even though it could never be adequate to mark such a vast and devastating history and persecution,” she said. “I went to B’nai Jeshurun, which is a Conservative synagogue on the Upper West Side that, in partnership with the JCC in Manhattan, does something called the naming of the names, where they have this book from Yad Vashem … devastating lists of families who perished. Starting at 10 p.m. and going all night into the next day, people tak[e] turns reading those names,” said Pogrebin. Pogrebin is always looking for ways to bring the lessons of her journey into her day-to-day life, to make them come alive in a way they didn’t for her when she was a child. About the book, she said, “If one wants to understand the arc of the year, you will. It’s not that there are not people who might disagree with this or that, but it was researched and tested with people who live this and teach this at a very high level. So, it’s not just Abby saying it to be true. It’s me putting on my journalist hat and making sure when I explain something that it’s definitely rooted in scholarship. I hope … it’s an enjoyable and entertaining book. “The people who read it are coming along with me and my experience with the holiday for the first time. They are also getting, I think, a fairly thorough template of what a Jewish year involves and demands. I think that, whether you’re Jewish or an interfaith family that wants to explain or introduce … some of these holidays in your own home and you’ve never done them before, it’s absolutely a door into learning how.